Recently, social media consultant Deborah Smith returned to First Financial for another spectacular social media seminar – Facebook for Business, Advanced Techniques. 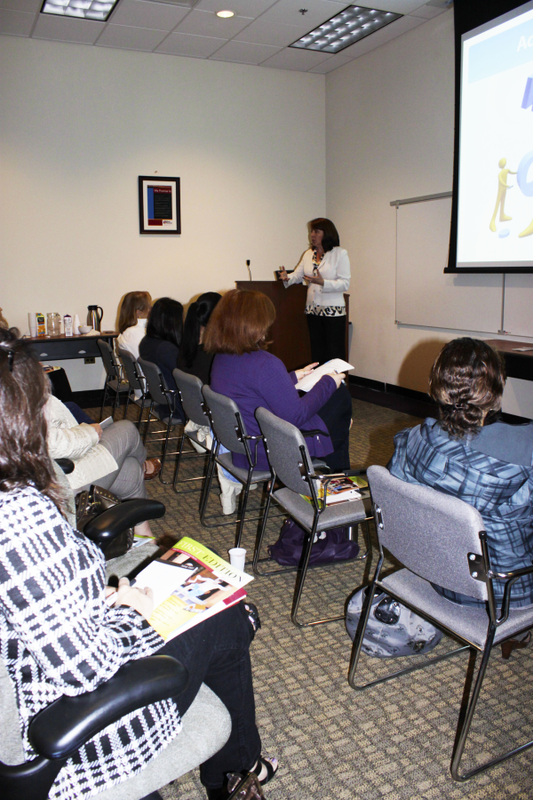 In this seminar, she discussed Facebook’s timeline, her favorite Facebook applications, Facebook advertising, and more. The cover image is not a place to advertise. Refrain from using contact information and ‘calls to action’ on it. Next to the ‘About’ section, you’ll notice images that may link to photos, likes, videos, and so on. You can and should, create your own custom images in this section to get your fans’ attention. The ‘milestones’ feature allows users to feature notable company events. Some ideas for milestones include: launching a new product or service, company awards, and new staff hires. Using applications is another great way to call attention to your fans. Some applications allow the design of custom tabs. One of Deborah’s favorites is ShortStack. Within Facebook Advertising, you can create sponsored stories to generate interactions from fans. Also within Facebook Advertising, it’s best not to use photos that look too polished. To be notified of the next social media seminars at First Financial with Deborah Smith join First Financial’s email list, or subscribe to this blog (enter your email address in the upper right hand corner) for seminar previews and other articles from First Financial. This entry was posted in Business Seminar Summaries and tagged Business Seminar Summaries, Deborah Smith, Facebook for Business, First Financial Federal Credit Union, Monmouth and Ocean Counties by M2 The Agency. Bookmark the permalink.